Have you ever been to Thun? It's a heaven for foodies (and for gentlemen).Have you ever been to Thun? It's a heaven for foodies (and for gentlemen). Have you ever been to Thun? It’s a heaven for foodies (and for gentlemen). Thun is a beautiful town on the shores of the Aare River, right where it flows out of Lake Thun. But trust me, a trip to Thun is well worth it. I still remember my first visit as I traveled along the Path of St. James (a.k.a. Camino, a.k.a. Jakobsweg) coming from Interlaken and heading towards Fribourg. I had passed the famous Schloss Oberhofen on the lake's northern shore. And as I entered Thun, I spotted people standing on the bridges and jumping from the railings into the swiftly flowing turquoise water below. My second visit to Thun was a few years ago with my cousin. We sat on the Mühleplatz plaza and drank coffee on a sunny but a fresh autumn day. I thought to myself again: “This is a pleasant place. I should visit more often!” The streets of the old town are narrow and on two levels, adding to the charm. The shops are in large part still independent. 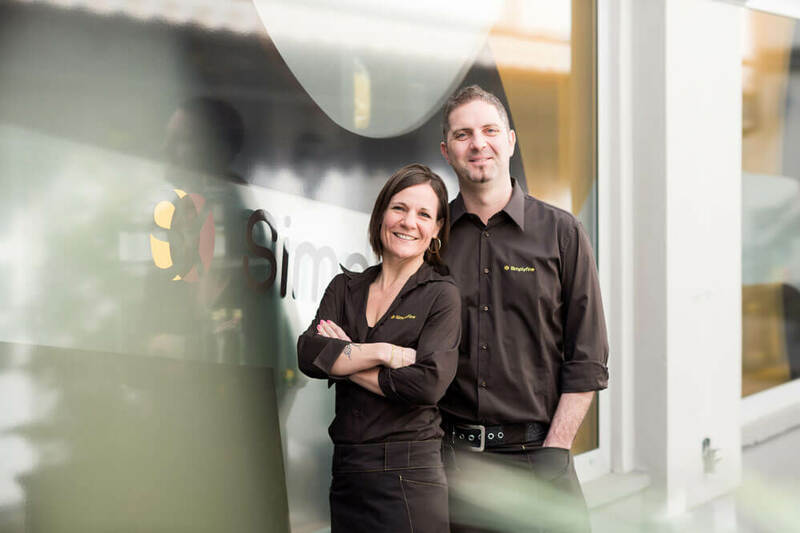 Simplyfine in Thun are curators of fine Swiss foods. 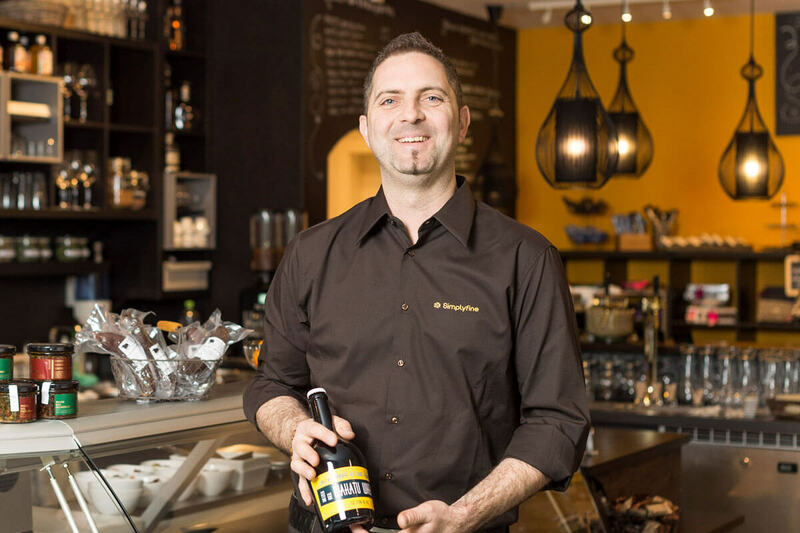 Recently, I returned to Thun to meet the owners of the delicatessen Simplyfine. 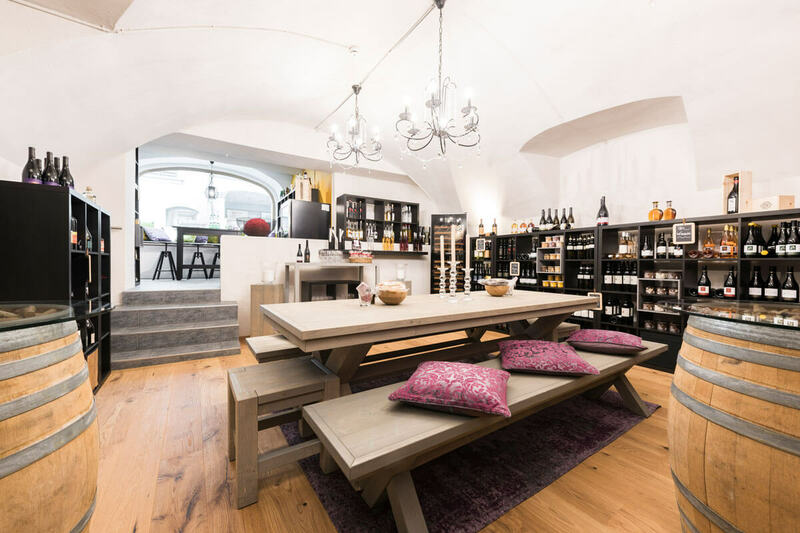 Stefan and Anita, a husband and wife duo, had opened the doors to their shop just over a year ago with the expressed purpose of supporting small, Swiss specialty food producers and artisans. They would travel around the Berner Oberland and really all of Switzerland in order to find unique products. They also reached out to the community of Swiss abroad who are producing wines and antipasti. Ultimately, every product in the shop is made by a Swiss. To many, the idea of leaving behind the stressful life as a consultant to instead open a shop which you get to curate sounds like the dream. And if you were to ask Anita and Stefan, they would tell you that it is a dream come true. However, a dream job does not mean that there is no work. Like every entrepreneur, they are working longer and harder hours now than in their past life. It’s a typical Swiss space: There’s a place for everything - and everything is in its place! The corner shop is wonderfully split into three sections. 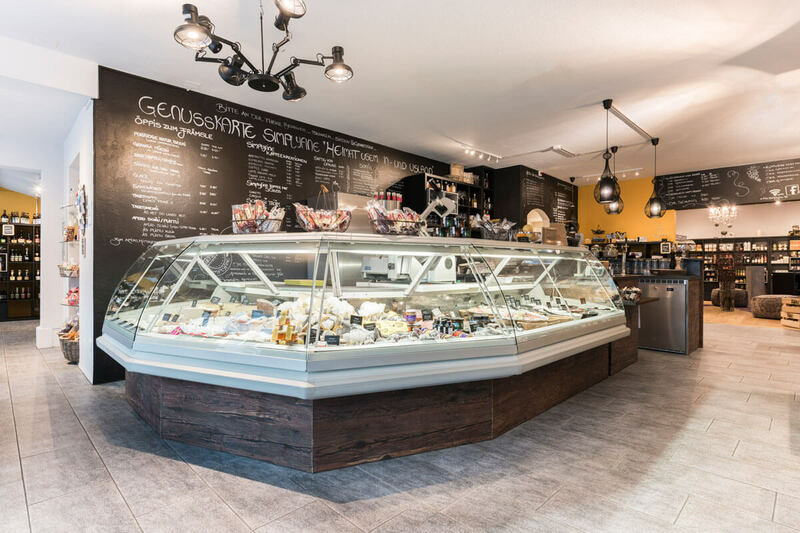 When I enter Simplyfine, I am confronted with a full delicatessen counter featuring local cheeses, cured meats and colorful olives and other Mediterranean appetizers. There is a professional coffee machine behind the counter, as well as fresh rolls and baked goods on the shelf. 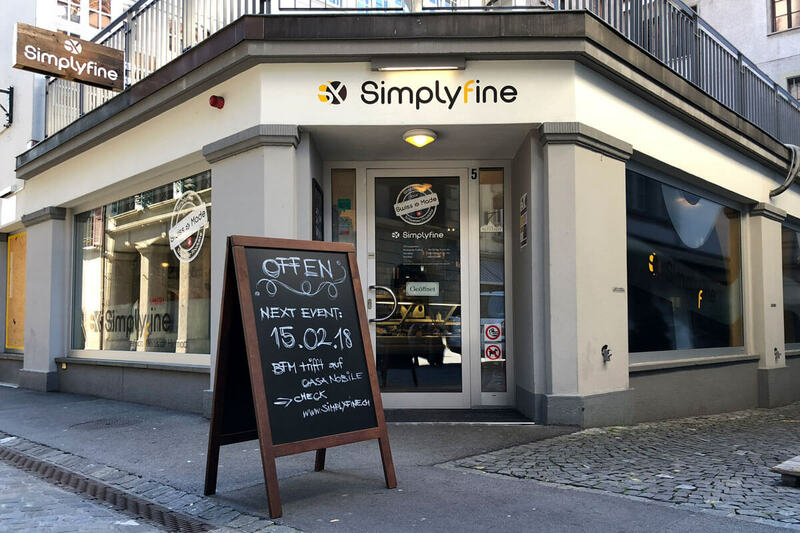 The Simplyfine store in Thun turns out to be a good place for coffee during sightseeing - or for lunch to grab one of Stefan’s custom sandwiches. Turn right and head to the back area called "The Living Room" for a Kaffeeklatsch with friends or to see some of the dry goods on offer. At the back of the store on the left, you will find craft beers, wines and spirits. There is a large table where Anita and Stefan host tastings with producers. Stefan tells me that he is a certified beer sommelier, having created a craft beer club to bring more people into the fold of malted-brew connoisseurs. Some innovative ideas and cooperations beyond the shop. Organic Swiss Biber Cakes - Falling in Love with a Kiss of Lemon! The tour wraps up at the Atelier Classic Bar for whiskey or rum, depending on the group and the bartender, who will explain the nuances between different brands, styles and regions. The tour is in German, can be booked on the Thun Tourism site and costs 39 francs per person. How you can be a part of their success, too. To grow their business further and support more independent Swiss food producers, Anita and Stefan are running a crowdfunding and crowd lending campaign on the Zürich based crowd financing platform 3CF. By being a part, supporters will get a Simplyfine gift basket for Christmas and can book a private beer tasting for up to twelve people, among other benefits. The terms of the campaign state that lenders can earn 6.5 percent interest on an amortized loan. 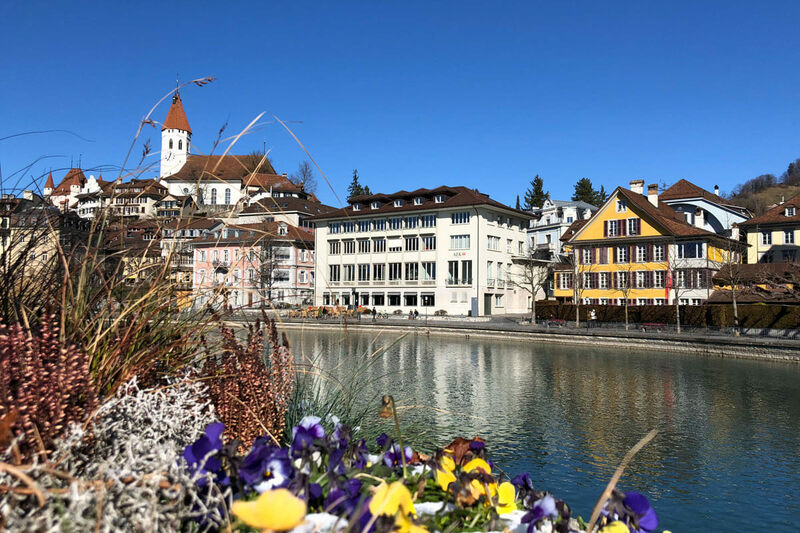 Have I convinced you that Thun is a Swiss town worth visiting? When you do so, stop in at Simplyfine and discover regional food products and other Swiss specialties. And if you want to support Simplyfine and many other Swiss producers, you can do so here.